With today’s modernized and fully equipped top shelf smartphones, they’re starting to bridge that gap still owned by mobile consoles when it comes down to gaming. However, as we continue to see innovation spurring in the industry, there is no doubt that smartphones will rule the mobile gaming landscape. Knowing that, T-Mobile is holding a contest where they’ll be awarding fantastic prize packages to ten lucky people who can prove to be the most diehard of gaming fans. In order to qualify, you’ll need to upload a 15 second or less video to T-Mobile’s Facebook page showing the world why you classify yourself as the ultimate gamer and how you would make the perfect correspondent for the carrier. Obviously, contestants with the top ten most rated videos will each win prizes, with the top two banking the grand prize package of getting a snazzy T-Mobile G2x and a free trip to the E3 Expo being held in Los Angeles from June 7th through the 9th. 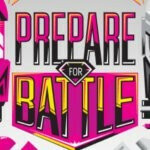 Moreover, they’ll be the name and face for T-Mobile for the event since the two winners will have the prestigious duty of hosting gaming challenges and conducting interviews. So if you think you have what it takes to win it all, be sure to check back on May 15th to upload your video.